Read this tips and guide to complete the "Destroy Ghost Decorations in 7 different Named Locations" Fortnitemares Challenges Part 2 - includes ghost decoration locations, rewards, and tips & tricks. This challenge is part of the Fortnitemares Challenges Part 2. 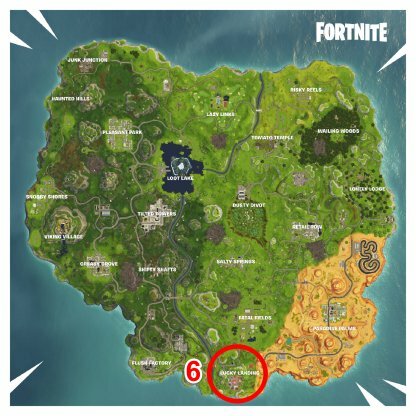 You need to locate the different ghost decorations in Named Locations on the island to complete the challenge & earn the XP reward. 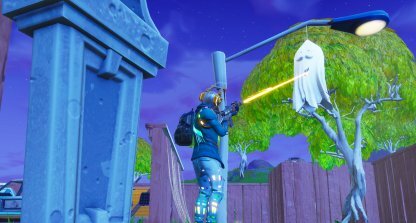 You can find the ghost decorations in 12 different locations in the Battle Royale island. 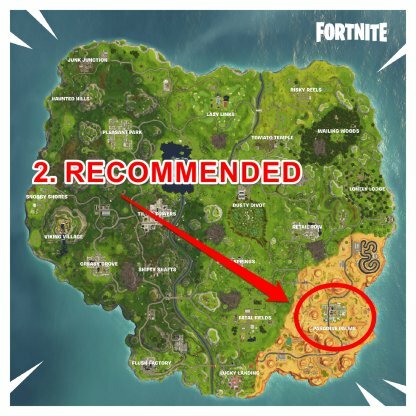 We have a list of top 7 recommended locations to find them! 1. Tilted Towers (12 Ghost Locations) - MOST RECOMMENDED! 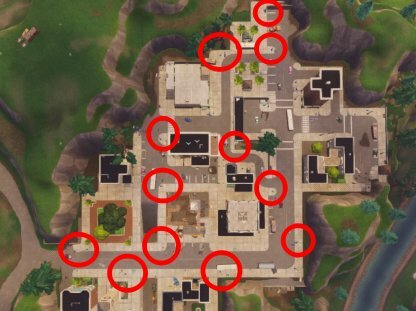 Tilted Towers has the most ghost decorations in the map! Most of the streets lamps in the area have ghost decorations hanging from them so be sure to head there first! 2. 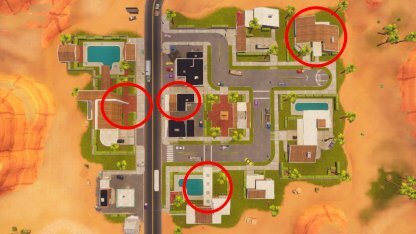 Paradise Palms (4 Ghost Locations) - RECOMMENDED! 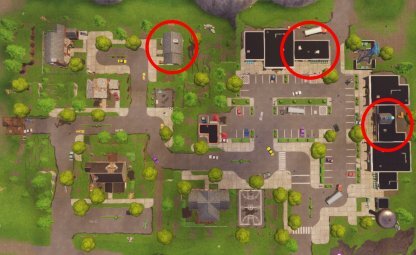 In the main residential area of Paradise Palms, you'll find a couple of ghost decoration locations - 1 by the hotel, 1 in the house on the upper-east side, & 2 in the central area. 3. Risky Reels (4 Ghost Locations) - RECOMMENDED! 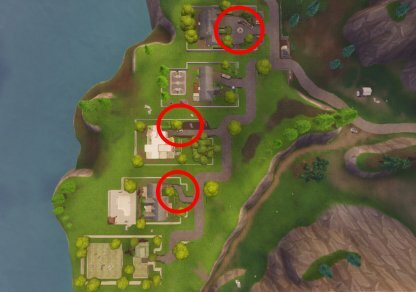 You'll find 4 major ghost decoration locations around Risky Reels. They're hanging around the east & west outer edges of the car park. 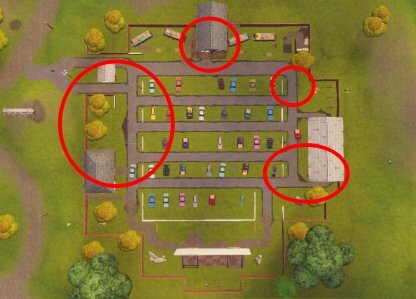 There are 3 ghost decoration locations in the houses in Pleasant Park. 2 in the left side & 1 in the bottom-right side. 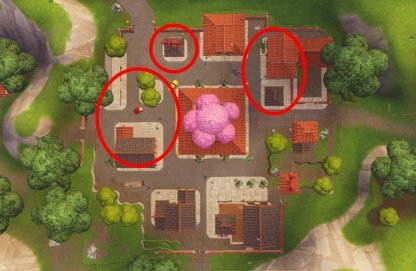 The ghost decoration locations in Snobby Shores can be found in the 1st, 3rd, & 4th houses. 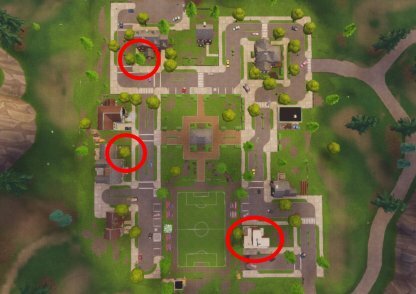 In Lucky Landing, you can find 3 ghost decoration locations. They can be found in the northern-central area of the map. 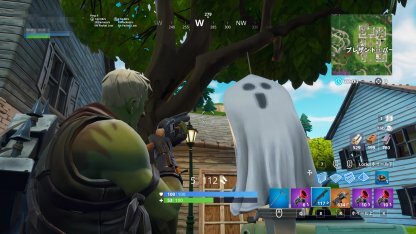 There are 3 ghost decorations in retail row. You can find them in the northern borders of the area. You can use any weapon (even your pickaxe!) 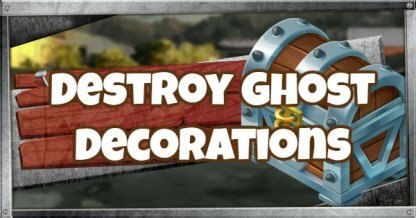 to destroy the ghost decorations! It's easy to destroy them but be aware that using loud weapons may alert enemies of your location! Since you can only destroy ghost decorations in a Named Location once, it's best to head to those that have more than 4 in one area. It might get deadly & competitive, so come with your guns & shields up! 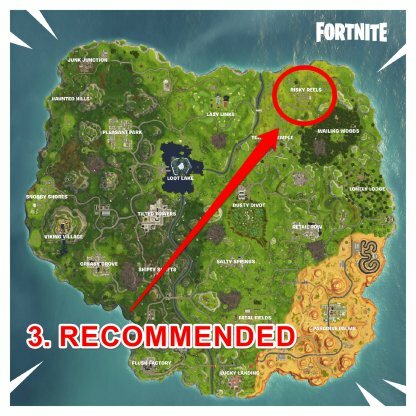 If areas with a high number of ghost decoration locations are too competitive, head to Named Locations with fewer ghost decorations.